If you’ve elected – a word which here means “decided” and, in this case, has nothing to do with politics – to ignore the desperate warnings of Lemony Snicket to please look away as Netflix begins its dangerous attempt to adapt each of the thirteen chronicles of the Baudelaire children’s tragic lives, never fear: The Fangirl Initiative is here to offer you the emotional support, factual information, and subjective opinions you need to get through the eight dreadful episodes that have been released thus far. In the following weeks, we’ll cover two episodes (equaling one book) per article. And at the end, we’ll give you a little sneak peek into what horrible things will occur next season. Today we’ll be delving into the first two episodes, which make up the story known as The Bad Beginning. Spoiler warning for the first two episodes of the show as well as somewhat of a spoiler warning for the books (since we'll be discussing changes made from the books as well as Easter eggs). Trigger warning for child abuse, violence, murder/death, allusions to sexual abuse as well as terrible villains, difficult chores, and general misfortune. In the spirit of the books, episode one opens first with a dedication from Lemony Snicket to his darling Beatrice (whoever she might be) before the elusive author gives viewers one last warning to turn away before finally introducing us to the main characters. We see the three happy Baudelaire children riding the trolley. 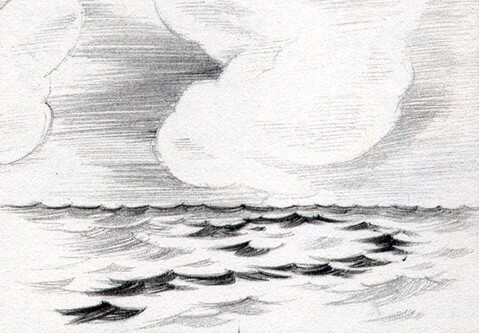 Lemony Snicket shares a fact that was originally mentioned only in the rare edition of the book – that the kids are on their way to Briny Beach, not because they decided on their own to go but because they were asked to leave the house for the day by their parents. They are warned that a cloudy day like this is not the best day to go to the beach. But the children find the weather to be in their favor as it means they have the beach to themselves. Mr. Snicket helps us get to know the children a little better before their series of unfortunate events begins. The oldest, Violet, is a clever girl with a knack for inventing. She is right-handed. And her main idiosyncrasy is that whenever she needs to think, she takes a ribbon out of her pocket and ties her hair to keep it out of her eyes. Klaus, the middle child, is quiet and clever. His main hobby is researching, and even at his age, he has read so much that there are scarcely any subjects he doesn’t know a great deal about. Finally, the youngest is Sunny. Though just a baby, Sunny is just as smart as her other siblings, although many people don’t realize it as she still speaks only in baby talk. Sunny’s favorite thing to do is bite things, and she has razor sharp teeth to assist her in doing just that. The Baudelaires are watching Violet test an invention that retrieves rocks after she has thrown them into the water when the children are unexpectedly confronted by a banker named Mr. Poe. Mr. Poe is the executor of their parents’ estate, and, apparently not being a very tactful or aware person, he cheerfully tells them their parents have passed away in a terrible fire. He is quite surprised when they are upset by this news, awkwardly pats Sunny’s hand with one finger, and treats them with condescension. Lemony Snicket, traveling an underground network of tunnels, shows viewers a secret door with an eye insignia on it and reveals that it leads to the Baudelaire mansion. He tells us neither the official fire department nor the volunteer fire department could find the cause of the fire. If we look closely at the flashback playing behind him, we can see a small spot of light being cast on the mansion’s wall from an outside source. The spot gets more and more narrow until the wall bursts into flame, setting the whole building on fire. Clearly, this is a case of arson. The children are allowed to visit the ruins of their home, only to find everything they had was destroyed. Klaus finds a spyglass with an eye insignia on it hidden in the rubble, and though half of crumbles into dust, he takes the remains of it with him. Mr. Poe informs them their parents left behind an enormous fortune. But unfortunately, they will not be able to use a penny of it until Violet comes of age. So although they are extremely wealthy, they will be forced to live like beggars for the remainder of their childhoods. The Baudelaires stay with the Poe family until Mr. Poe can find them an appropriate guardian. The Poes are not considerate of the children at all. All three of them are placed in one small bed. Mrs. Poe, who works at the notorious newspaper The Daily Punctilio, keeps trying to get headlines out of them. And the Baudelaires are constantly frustrated by the lack of both manners and intelligence shown by every Poe family member. At one point, one of the Poe sons even reveals he thinks the Baudelaires set fire to their own home,and asks how they did it so he can kill off his parents too. Mr. Poe announces he’s finally found a suitable guardian. During the drive to the new guardian’s house, he tells them the details. Their new guardian is named Count Olaf. He is either their third cousin four times removed or fourth cousin three times removed, and he is their closest relative… in terms of physical distance. He lives only a few miles away. This worries Violet since living so near each other she wonders why their parents never invited him over. Once they arrive and get out of the car, they meet a very sweet, though not very clever, woman named Justice Strauss (played by Joan Cusack), who, it turns out, needs the skills of an inventor, reader, and biter. The children feel hopeful, thinking this is Olaf’s wife and that they’ll have a place in this new family. But it turns out Justice Strauss is only Olaf’s neighbor. Their real new home is the dilapidated mansion across from Justice Strauss’s beautiful home. Count Olaf is an actor. This is apparently part of his personality rather than just his occupation, for the children can hear him practicing his greeting to them before opening the door. The first thing they notice about their new guardian, besides the terrible conditions in which he lives, is that he has an eye insignia tattooed on his ankle as well as engraved all over his house. Olaf seems quite happy to see the children but also fixated on their fortune and suspicious of Mr. Poe. He is insulted when Poe is put off by the condition of his home and visibly upset when Poe informs him he can’t use the children’s money to fix it up. Olaf quickly ushers Mr. Poe out the door, and the true nature of his personality reveals itself in full as soon as the banker is out of earshot. Lemony Snicket informs viewers he first met Count Olaf as a young man. And a terrible person Olaf is, indeed. He mocks the children’s loss as well as their late mother. He gives them a tour of his wretched house, informing them it’s their responsibility to fix it up and keep it clean. Just like when they stayed with the Poes, they are given one small bed to share. Klaus is about to lose his temper, but Violet encourages him to stay strong. After all, she says, first impressions are often wrong. Count Olaf agrees with her. Justice Strauss tries to visit the children, only for Olaf to tell her horror stories about how ill-behaved the children are, that they are spoiled by their wealthy upbringing and don’t appreciate the things he does for them. She is surprised but believes it, ignoring the glaring inconsistencies and red flags of abuse in his story. This new vision of the children that Olaf places in her head becomes apparent when the Baudelaires visit her a bit later. After they finish their chores, Olaf demands they cook a large dinner for him and his theater troupe, insisting they also pay for it themselves. They protest this, and he reluctantly hands them the money. But they still need a recipe. Thus they decide to pay a visit to Justice Strauss’s library. She is surprised to see them and seems both thoughtful and sad. She encourages them to appreciate Count Olaf more. Although Justice Strauss still believes them to be spoiled, she’s honored to have them visit her and happy to see young people interested in intellectual pursuits. She says they can use her library any time, and that it has books on an array of topics (including the world’s most threatening fungus, for those of you on the lookout for Easter eggs). When she sees Klaus’s spyglass, she says something about it rings a bell. Justice Strauss is about to take out a book on secret organizations when she’s interrupted by Violet asking where they can buy ingredients for pasta puttanesca. She’s proud the children are cooking for their guardian and offers to take them to the market herself. On the trolley ride, she tells them about her failed dream to become an actress and have children of her own. She wants them to consider her part of their family. When the Baudelaires come home with the groceries, they are immediately greeted with a musical number. At the end, Olaf is annoyed they didn’t applaud him. We are introduced to the members of his theater troupe. There is a man with hooks instead of hands. There is a tall, bald associate. There are two old women with white powder covering their faces, who seem smitten with Count Olaf. And finally there is a hench-person of indeterminate gender and a passion for social issues. Olaf is impatient for dinner, so the kids get busy in the kitchen. Klaus gets the stove working, Violet fixes Olaf’s pasta maker and makes pasta to go with the puttanesca sauce. Although they dislike living with Olaf, they have hope and feel maybe living there is better than nothing. Olaf starts an argument over what the children decided to cook. This ends in him slapping Klaus and threatening to drop Sunny from a great height. In the end, he decides to forget the whole thing and takes his troupe members to rehearsals. The Baudelaires are sent to their room, where Klaus decides living here is not better than nothing. A montage plays of Lemony Snicket in the tunnels as names of present and future characters show up and disappear. The episode ends with a scene of a mysterious couple being driven to prison. They are quite similar in personality to the Baudelaires, and they say they are worried about their children. Could this be the Baudelaires’ parents? Did they survive the fire after all? The episode begins with a flashback explaining how Poe came to the decision to send the Baudelaires to live with Olaf in the first place. We are introduced to a woman named Jacquelyn Scieszka, Mr. Poe’s secretary and a member of the mysterious organization represented by the eye insignia. Olaf gets past her desk by pretending to be a consultant named Yessica Haircut. And he manages to convince Poe that, when the Baudelaire will states to send the children to their “closest relative,” it means closest geographically. (It’s also worth noting that the map of the city he uses shows the city is also in the shape of an eye.) When Jacquelyn tries to investigate, she is kidnapped by Olaf’s bald associate, who ties her to a tree. Jacquelyn manages to uproot the tree and travel to the tunnels to meet an associate named Gustav Sebald. Gustav is the assistant to a Doctor Montgomery – who Gustav reveals to be the children’s actual closest living relative and the man the Baudelaire parents originally wanted to raise Violet, Klaus, and Sunny in the event of their deaths. Jacquelyn catches him up on the Baudelaires’ actual fate, and they make plans to rescue the children at the theater where Olaf will soon perform. Back to the present, the Baudelaires are discussing whether or not they should run away. They decide living on the streets would be even more dangerous than living with Olaf, so they instead decide to visit Mr. Poe to issue a complaint. They try to explain to the banker how Olaf is abusing them but are interrupted by constant fits of coughing and phone calls. Poe assumes the children are simply making a big deal out of nothing and explains that the legal term in loco parentis means that Olaf has the right to raise them any way he sees fit, even if it’s a way they aren’t used to. He calls in Olaf’s hook-handed associate (who is now also working as Poe’s new secretary in light of Jacquelyn’s disappearance) and asks him to take the children home. At home, Olaf offers them cupcakes with raspberries. The children are afraid they might be poisoned, but Olaf ends up eating them all himself. He tells them that Mr. Poe called him and told him about their visit. He apologizes for being too “standoffish” and has a plan to make them feel more at home. They will take part in his next play – The Marvelous Marriage, written by Al Funcoot (an anagram of Count Olaf). Sunny and Klaus will play cheering members of the crowd. Violet, being an inventor, wants to work backstage, but Olaf insists she play the bride his character is going to marry. Olaf reminds the children that, whether or not they want to participate in the play, when he orders them to do something, he is acting in loco parentis and they must obey. The Baudelaires study in Justice Strauss’s library to try to figure out what Olaf is up to. Violet studies theater while her brother studies local ordinances. Olaf, using a spyglass that matches the one Klaus found in the ruins of his parents’ home, spies on them studying. Worried they’ll discover his plan, he rushes over and interrupts them by taking advantage of Justice Strauss’s failed dreams of stardom, telling her he’ll give her a part in the play. He casts her as the judge officiating the wedding and insists she brings authentic documents from city hall to the performance for added realism. He takes the children home, but Klaus manages to smuggle out the book on city ordinances. Olaf and his troupe are getting ready for the play, picking out outfits and choosing between wedding cake recipes. Klaus knows the play is going to be literal instead of figurative – that the only qualifications needed for the marriage ceremony to be legally binding is to say “I do” in the presence of a judge and authentic court documents signed in the bride’s own hand. What’s more, since Olaf is Violet’s legal guardian, he also has the power to give her legal permission to get married despite being underage. Once he and Violet are married, he will have access to their fortune. Klaus plans on reporting Olaf to the police, but Olaf reveals he has taken Sunny and is currently holding her captive in a cage. If the children do not cooperate fully, he will kill her by dropping the cage from a great height. Violet remembers a promise she made her parents that she should always look after her siblings. Klaus tried to defeat Olaf and failed. Now it’s her turn to make an attempt. Gathering together some inventing materials, Violet invents a grappling hook that takes her up to Sunny’s cage. Unfortunately, she is caught by the hook-handed man, and she and Klaus are locked in the tower room. Violet wants to make Molotov cocktails to signal someone for help but doesn’t have the materials. Finally, Olaf comes to fetch them for the play. The hook-handed man is left to guard Sunny and communicates with Olaf via walkie-talkie so that he can drop the cage if anything during the play goes wrong. Backstage, Justice Strauss is too preoccupied with her stage fright to listen to the kids’ final attempt to reach out for help. The play begins, the disguised wedding ceremony is conducted, and Violet secretly signs the document with her left hand even though she is naturally right handed. Olaf announces the wedding was real and that the fortune is now his. But Violet steps up and raises the question of whether using the wrong hand to sign the document invalidates the ceremony. Klaus gives his case as to why it does indeed invalidate the ceremony, convincing everyone. The marriage is declared invalid. Olaf tries to get the hook handed man to drop Sunny’s cage, but she managed to escape, tricking the henchman with a card game. She is already safe at the theater. Poe steps up, announcing the children will be taken away from Olaf and that Olaf will go to jail. The bald associate turns off all the lights in the theater. After whispering a few last threats to Violet, Olaf escapes just before the lights come back on. 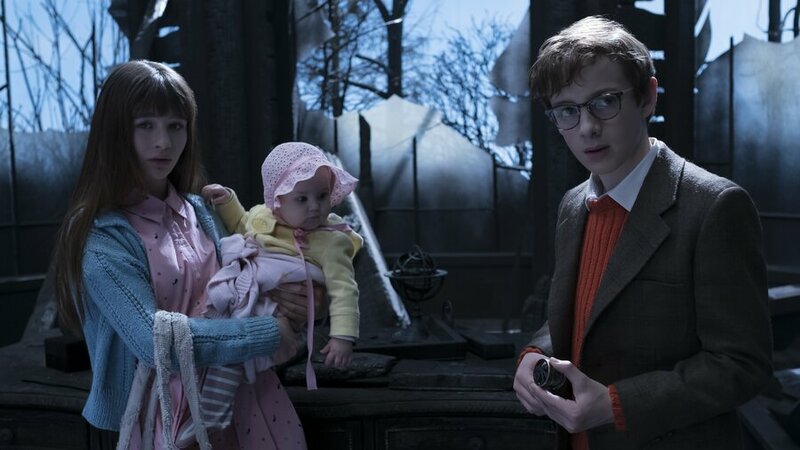 The Baudelaires want to live with Justice Strauss, but Jacquelyn and Gustav tell them they must go live with the relative their parents originally wanted them to live with. The Baudelaires say their goodbyes and go once more with Mr. Poe, who will make arrangements. We see Justice Strauss sadly putting away a book on adoption law and instead take out the book on secret organizations. It’s worth noting that we see Lemony Snicket gazing longingly at a blurry photograph of his beloved Beatrice and tells viewers that when he asked her to marry him, she found she could give him no answer. Just like the previous episode, this one ends with the story once more turning back to the mysterious couple who may or may not be the Baudelaire's parents. They are reading an article about the terrible things Olaf has been doing to the Baudelaires. They say things are worse than they thought and the longer they are away, the more danger their children are in. The couple is trying to escape from a jail cell. Just like Violet talked about earlier, the woman has a grappling hook and a Molotov cocktail. The man is investigating the cell and finds a secret passageway in the floor with an eye insignia on it, allowing them to escape. I have mixed feelings about The Bad Beginning. Most fans I've run across love the show as a whole, but say they started loving it in the middle-to-later episodes, which doesn’t surprise me at all. The things I liked in The Bad Beginning, I really loved. And the things I didn’t like, I really hated. So I’ll delve in a bit deeper and explain what I believe to be this installment’s ups and downs. The theme song was just alright to me. Most people loved it a great deal more than I did. I’m glad they incorporated the warnings to “stay away” in the lyrics but felt they could have done a lot more with it. One thing I did think was really cool was that (spoiler for the theme song in future episodes) in episodes where Olaf is using a disguise, part of the theme song is sung in his disguised voice. That’s pretty creative. I’m really happy that they kept the dedications to Beatrice at the beginnings of each episode. The tragic romance between Lemony and Beatrice is such a vital part of the story’s heart, and I had been worried that aspect would be lost in the adaptation. So I’m more than thrilled to see it incorporated just as strongly in the show as it was in the books. When it comes to the aesthetic, I actually like the movie’s a lot better than the TV show’s. The backdrop of the movie had a quirkiness that was almost steampunk in style as well as a darkness and mysterious quality that was quite real and tangible. On the show, however, the majority of the aesthetic is sunny and cheerful with an almost Stepford Wives kind of flatness. The only dark part of it is Count Olaf’s house. I understand what they were going for here, and it’s symbolized quite well in the scene where the great black bird kills the cheerful songbird in midair – the world around the Baudelaires is positive and full of hope, but Count Olaf steals them from it and keeps them separated from it. However, anyone who has read the books knows how wrong this is. The problems in the Baudelaires’ lives, as well as the town they are from and the places they visit, go much deeper than Count Olaf. There is a despair that exists in these places that would exist even if Olaf had never been born. A mysterious force is at work. The casting is good for the most part. There are four actors in the entire series that I thought were miscast, and we meet three of them in this episode. The first was Patrick Warburton. To clarify, I’ve been a big fan of Patrick Warburton for many years. I just don’t think he was right for the role of Lemony Snicket. I think he makes a great narrator and should be used as such more often. But Lemony Snicket is much more than just a narrator. He is an actual character in the story (and also has his own set of books called All the Wrong Questions, where he is the main character) and has a specific personality – a personality that I don’t think Warburton conveys. The thing about the Lemony Snicket we meet in the books is… he’s kind of a mess? He frequently states that if he had to endure the things the Baudelaires endured – even minor things like performing chores or eating cold soup – he would hide, cry, throw a temper tantrum, or give up on life all together. The books emphasize his weakness and fear. He’s known as “a coward and a gentleman” and “the man behind the hedges.” He is so consumed by the loss and tragedy he has faced, he doesn’t have the strength to do anything but run from police and hide his face from the world. Patrick Warburton’s calm, velvety-voiced portrayal, though lovely, simply is not the character we know from the books. The second character I felt wasn’t quite right was Violet. I am not familiar at all with Malina Weissman, so I can’t say whether the problem lies with the actress or the director. My main issues is that I thought the character’s personality was changed quite a lot. The Violet we get to know in the books is quiet, introverted, and serious. She abhors traditionally feminine things like dolls and the color pink, and though she does try to care for her siblings, it is only because of a promise she made to her parents as the oldest of their children and not because maternal instincts come at all naturally to her. She is more a woman of science and logic than anything else, and helping her siblings both physically and emotionally can often be a challenge for her. Whereas, the Violet we meet on the show is the perfect picture of stereotypical femininity. Dressed in pink and other pastel colors, she’s outgoing, spunky, and chipper enough to put an American Girl character to shame. She’s naturally maternal, has no trouble boosting morale in any circumstance, and does not seem to deal with the insecurities that Violet from the books did. The only thing recognizable about her is she ties back her hair and can invent things. One thing I do have to give Malina Weissman credit for, though, is that her acting is quite good for her age. There are a few rough spots here and there, which would be an issue if she was an older actress. But the performance was spectacular for someone so young. I had no idea while watching the show that she was only thirteen years old. Klaus is pretty perfect, in my opinion. Just like his co-star Malina Weissman, there are a few lines here and there that Louis Hynes delivers a bit flatly. But unless you’re working with an absolute gem like David Mazouz from Gotham, you are always going to have this problem with child/teen actors. Overall, Hynes gives quite a good performance and outdoes most other actors his age. I really do feel like I’m watching Klaus from the books when I see him on screen. I have mixed feelings about Sunny. Her expressions are hilarious, and they did a lot of creative things with her scenes that are fun to watch. But the CGI is dodgy to the point of being distracting (though this probably couldn’t be helped due to the limited budget). It’s painfully obvious her lines are being voiced by an adult, and I’m giving some serious side-eye to whoever thought it was a good idea to use lime green text for her subtitles. Just make them white, darling, just make them white. One character I was not disappointed in at all was Count Olaf. Some people have complained Neil Patrick Harris’s performance wasn’t scary enough. But the truth is, while the Count Olaf of the books was genuinely evil and did cause genuine problems for the children, his demeanor was always more awkward and amusing than terrifying, and he believed his presence to be a lot more ominous than it was. The great joke of the books is that while the children are intelligent and well-read and Olaf is stupid and loathes books, he still ends up being clever enough to get the best of them time after time, subverting the idea that reading will get you anywhere in life. Harris plays this aspect up brilliantly. I definitely feel like I’m watching the Olaf from the books when I watch his portrayal. In fact, I would say that Count Olaf is the highlight of this first installment. I really like the actors and actresses they chose to play Count Olaf’s hench-people, especially the hook-handed man. They all match the characters from the books pretty well – except for the Hench-person of Indeterminate Gender, who they improved. In the books, they were emphasized to be “fat and stupid” and couldn’t speak in anything except unintelligible gibberish. Whereas on the show, they seem to be the kindest of the people on Olaf’s side, have a strong interest in social issues, and are played by the very charming and funny Matty Cardarople. The final character in this episode who I thought was not cast quite right was Mr. Poe. K. Todd Freeman does a good job at playing the character that, I imagine, he was directed to play. And the characters’ personalities are similar in more ways than not. But Timothy Spall from the 2004 film actually much better represented the kind of person Mr. Poe was painted to be in the books – an older, old-fashioned, and portly man, always coughing the way old Englishman are often stereotyped as doing, not listening to the children because he has no time for that sort thing and believes he knows better anyway. Whereas, Netflix’s version of Mr. Poe is young, thin, and hysterical. Mr. Poe from the books has his a moment of hysteria in the second book. 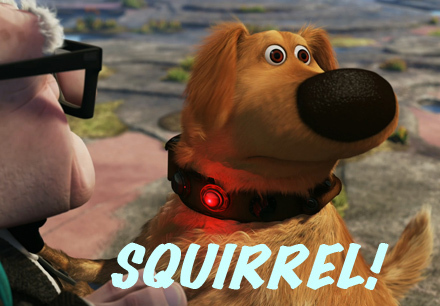 But the show’s version is constantly freaking out or passing out and has the attention span of Dug from Up. Interestingly, they seem to have taken three characters from the books – Polly Poe (Mr. Poe’s wife), Eleanora Poe (Mr. Poe’s sister and the editor-in-chief of The Daily Punctilio), and Geraldine Julienne (The Daily Punctilio’s annoying star reporter, noted for constantly chewing gum, announcing potential headlines, and shouting “wait until the readers of The Daily Punctilio hear this!”) – and combined them all into one character for the show. Although it's a bit odd to see (especially since I had differing opinions on all three characters in the books, so seeing them all portrayed as one person is a bit jarring), I think it works? I really liked Jacquelyn. She was funny and a pretty badass female action hero. One thing I am concerned about, though, is... who is she? She wasn't in the books. And I'm not sure if she's a new character, Kit in disguise, or a genderbent Jacques. If she's a new character, great! Welcome to the family, Jacquelyn! If she's supposed to be Kit... ehh... I'll definitely have some issues with that. Although she and Kit are both badass, they have very different personalities and (by the looks of it) histories. And if she's Jacques, well... that is definitely going to cause plot problems later on. For now, though, I'm just going to assume she's a new character and enjoy her as such. The story was great in terms of accuracy. The show followed the books so well that you can literally read along as you watch in the majority of scenes. The execution was a bit rocky in the beginning, however (one might even say it had a… bad beginning haha. ha). At first, most of the actors were quite stiff with awkward looks directly into the camera. The dialogue sounded like it was being read. There were odd, lingering looks between Violet and Klaus, almost like they were two teenagers in love rather than siblings (particularly with Klaus’s “I never expected otherwise~” line). So, yeah, it starts out a bit awkward and stays awkward for probably the first twenty minutes. After that, Count Olaf is introduced, and that’s when everything slowly starts to improve until it gets great. In fact, I would argue that Neil Patrick Harris’s best scenes in the entire show are in this episode. The show uses both cheesy and witty humor that, while it can be "hit" or "miss," is "hit" more often than "miss." One joke that was particularly clever is when Count Olaf is frustrated with Sunny’s baby talk and says, “I don’t have time to learn a second language besides whatever it is I’m speaking right now.” This is funny on multiple levels. In the literal, in-universe sense, it’s funny because Count Olaf isn’t smart enough to know what language he’s speaking. But it’s also a nod to the fact that the series is dubbed in multiple languages, which means, in the meta, out-of-universe sense, he really can’t know what language he’s speaking. On a different note, I’m really glad they included the references to Judaism. The Baudelaires are Jewish, as is the author of the books. I think it was really important to include that element, since it had such a huge hand in inspiring the series in the first place. One thing I was really surprised about, however, was the fact that they decided to have Gustav Sebald die via poison darts. In the books, Count Olaf himself drowns Gustav in the Swarthy Swamp. But on the show, someone off-screen shoots him with a poison dart, and he then falls into a pool. Now, I won’t name any names. But there is, infamously, only one character in the books who chose poison darts as their modus operandi. And it’s not Count Olaf. But… how could that person be the one who murdered Gustav? Is the show really taking it in that direction? Because that would be a major change to the books if so. That’s all we have for this episode. Join us next week when we delve into The Reptile Room!